If you&apos;ve ever attended one of Sound Opinions&apos; movie nights, you know how electrifying it can be to watch a great concert film with other music lovers. While it&apos;s nice to have that experience every month or so, why not have that everyday for a week? That&apos;s the idea behind the Chicago Summer Music Film Festival. 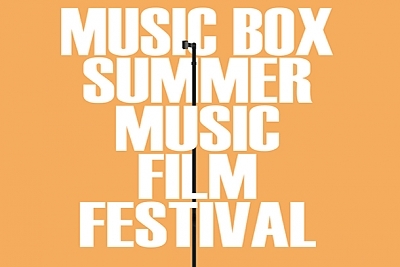 Our colleagues at Sound Opinions helped select five films to screen at the historic Music Box Theatre, including Shut Up and Play The Hits (LCD Soundsystem doc) and the elusive Fever Year (Andrew Bird doc). For its opening night the fest chose two classic music documentaries: Monterey Pop (7:30) and Gimme Shelter (9:15). These two films document a very short period of time that changed popular music. We&apos;re offering 50 pairs of guest list spots for this double-header screening. Just leave your name in a comment on this post- the first fifty people to comment will have their names on the list Monday at the Music Box. Be sure to use your real email address and don&apos;t include links or swear words in your comment to avoid our spam filter. Here are samples of Monterey Pop and Gimme Shelter followed by the festival&apos;s complete schedule.